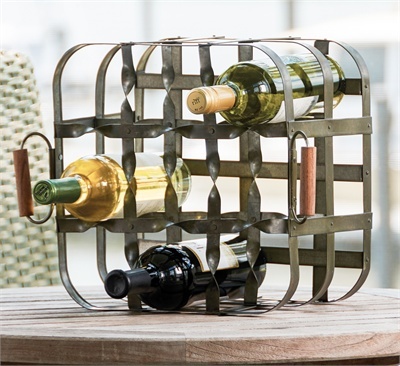 We repurposed a vintage milk bottle crate into this novel wine rack. Made of galvanized metal with an antique finish, the rack features two handles for easy transport and can sit upright or on its side. Perfect for apartment or studio living. Holds 9 bottles.